Indigenous scholars are leading initiatives to improve access to genetic and genomic research and health care based on their unique cultural contexts and within sovereign-based governance models created and accepted by their peoples. In the past, Indigenous peoples’ engagement with genomic research was hampered by a lack of standardized guidelines and institutional partnerships, resulting in group harms. This article provides a comparative analysis of research guidelines from Canada, New Zealand, Australia, and the United States that pertain to Indigenous peoples. The goals of the analysis are to identify areas that need attention, support Indigenous-led governance, and promote the development of a model research policy framework for genomic research and health care that has international relevance for Indigenous peoples. 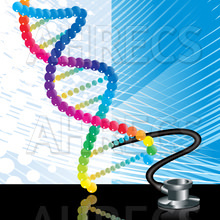 Expected final online publication date for the Annual Review of Genomics and Human Genetics Volume 22 is August 30, 2019. Please see http://www.annualreviews.org/page/journal/pubdates for revised estimates.